Rourkela is one of the well-planned city in the state of Odisha in India. Rourkela RTO is operated under the guidance of transport commissioner, who is also the director of this RTO. Establishment of Rourkela RTO is possible as per the provisions of motor vehicle act of 1988. Rourkela RTO conducts many activities to ensure smooth functions of transport and traffic in the city. One of the prime activity of Rourkela RTO is to grant all the essential permits. There can be many kinds of permits that Rourkela needs to grant time and again. Some of them are tabulated below. Online information management assists in automating the complete process. It assists in keeping the track of all the vehicles in the city by maintaining its database. 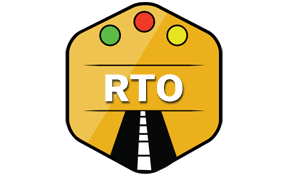 Furthermore, all the information related to Odisha RTO are published online periodically. It also assists in appointment to RTO office on a regular basis. Rourkela RTO conducts many kinds of tests. These tests can be related to issuing the driving license or others. For the driving license, tests can be either theoretical or practical. Once a person clears all the tests than only they are entitled to get the driving license. These tests are usually very basic and are conducted to check a person's awareness about traffic rules and regulations. Other tests are organised to check vehicle roadworthiness or pollution levels. After the completion of these tests, pollution certificate and vehicle fitness certificate are issued. For granting vehicle fitness certificate, vehicle emission tests are conducted. New vehicles that are purchased in Rourkela must get their registration copy(RC) from the RTO office. In order to receive the same vehicle owners must submit a certain document with a nominal fee. Once these documents are successfully verified, RC is issued. Documents required for RC are as follows. Every vehicle is assigned with a unique number plate. These plates are given based on the city from where the vehicle is purchased and many other determinants. The number allocated to some vehicles, like the official transport of prime minister and other ministers and bureaucrats is always special. If a layman wants to apply for specific number plate than they must raise a request in the RTO. Starting price of such a request may start from anywhere about Rs. 3,00,000. Rourkela RTO is authorized to grant special number plates based on the availability or considering many other factors. Rourkela RTO is responsible to collect the excise for all kinds of vehicles. Tax is levied as per the latest slab. The slab of tax varies based on the type of vehicle. Tax or excise criteria of two-wheelers are entirely different from the four-wheelers. Regional Transport Officer (RTO), Udit Nagar, Rourkela, Odisha - 769012.